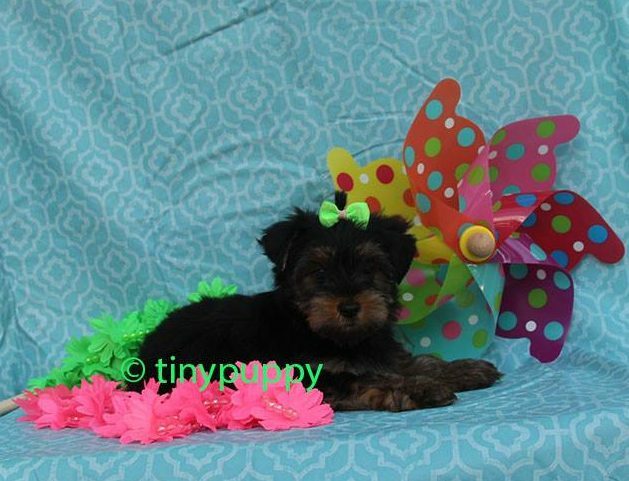 Sweet little Yorkie Molly is sure to win your heart. Our little Molly teacup yorkie is a precious little gem and a real snuggler. She will steal the heart of everyone with her thick black and tan coat. She will be gorgeous just like her mother and grandmother. Family loved and Family raised. This beautiful little girl has Championship bloodline in the mother’s and Dad’s bloodlines. She is ready now to come and be your tiny sweetheart. 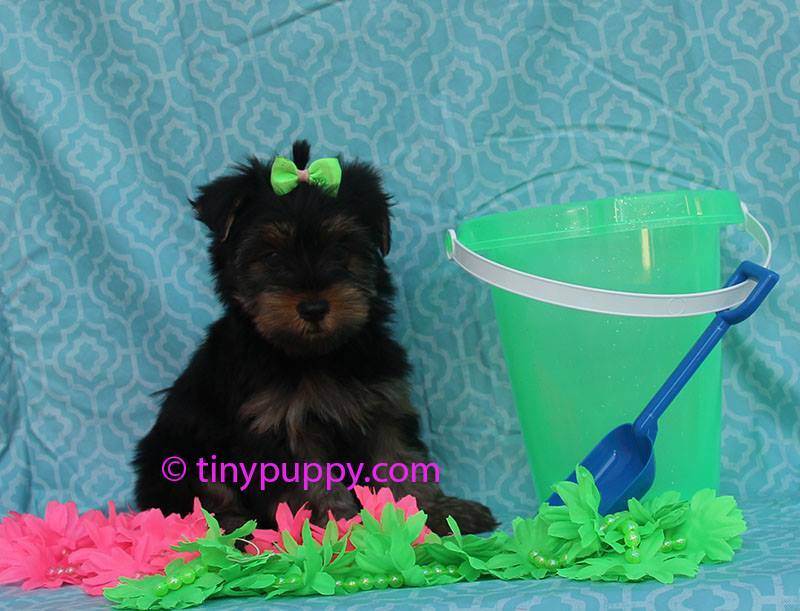 filed under: Teacup Puppies For Sale!, Yorkie Puppies For Sale!